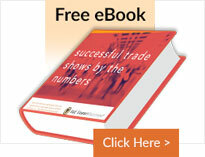 iPad app for Trade Shows: Paperless Sales Literature Tool. Exhibitsusa. E&E Exhibit Solutions offers a newly developed trade show app for iPads that saves money and provides detailed back end reporting. Tired of having your expensive sales materials end up in the trash? Eliminate the need to print and ship boxes of sales literature to your next trade show or event with E&E Exhibit Solutions sales app for iPad. Not only is it costly to print sales literature, marketing brochures and product sheets, but as soon as you print 1,000 copies one of two things happen: you find a misprint or product information changes. New colors, SKU numbers, sizes and material changes require that you head back to the printer for updated product literature. The standard cookie-cutter sales materials don’t always match the exact needs of your prospects. Now sales representatives can meet with prospects at a trade show and use the iPad app for trade shows to select only the most pertinent information to email their prospect. Not only is the information specific to their individual needs, but your company’s name greets the prospect in their email. Do you have sales reps in the field? The new sales app for iPads allows the merchandising department to quickly update your staff with the latest product information, recalls, videos and sales sheets directly to their tablet, iPad or Smart Phone. The trade show apps for iPad, tablets and Smart Phones allows you to view the videos and sales material that have been distributed to prospects, leads and customers. Reporting is available to show which device has shared the most files and which files have been opened the most. The reporting can be exported into a PDF document or an excel file allowing you to manipulate the data for the most effective review. Contact us today to learn how the sales apps for iPads can benefit your business.